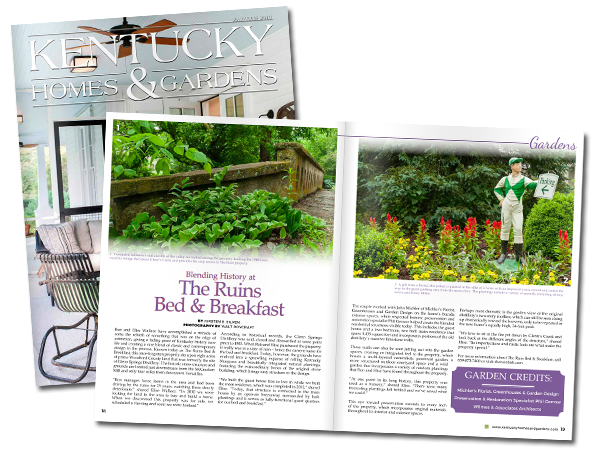 THE RUIN BED & BREAKFAST was selected as the Top B & B in Kentucky in the Annual 5-Star Hospitality Service Awards by the Bed & Breakfast Association of Kentucky, 2018. 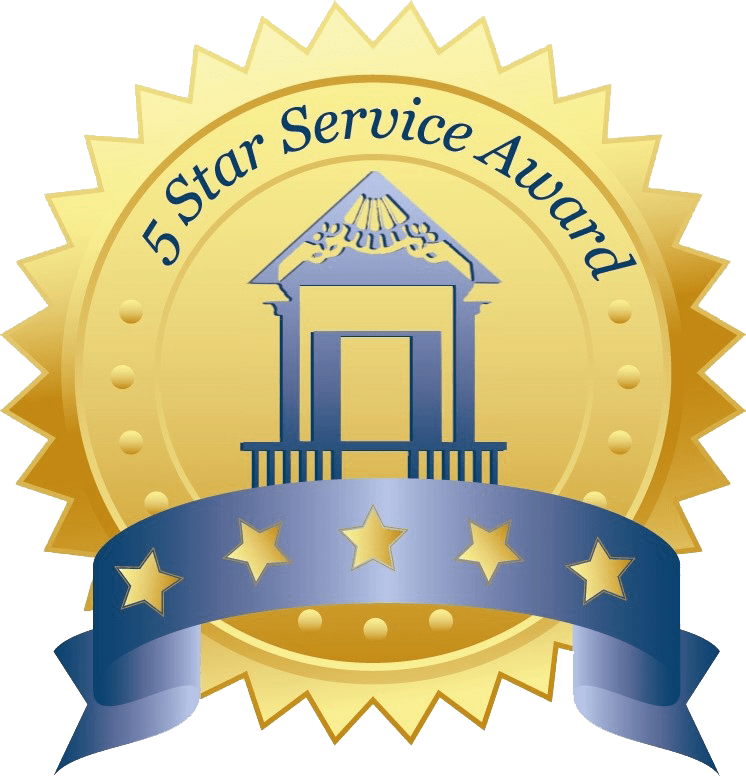 The Awards Program is based upon Guest Votes as well as a qualitative and quantitative review of the nearly 50,000 independent B & B Guest reviews submitted to TripAdvisor.com and other leading Travel Review Sites. 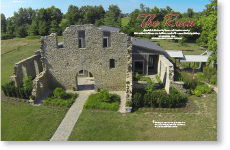 The Ruin has been featured in the Fall 2016 issue of Keeneland Magazine! Check out the full article by clicking HERE. 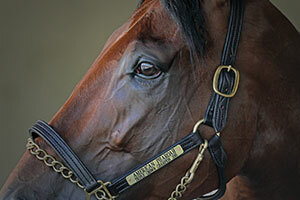 than he made on the track. The verb to use in polite company is “cover.” The stud covers the mare. Or: About 11 months after she was covered, the mare gave birth to a healthy foal. 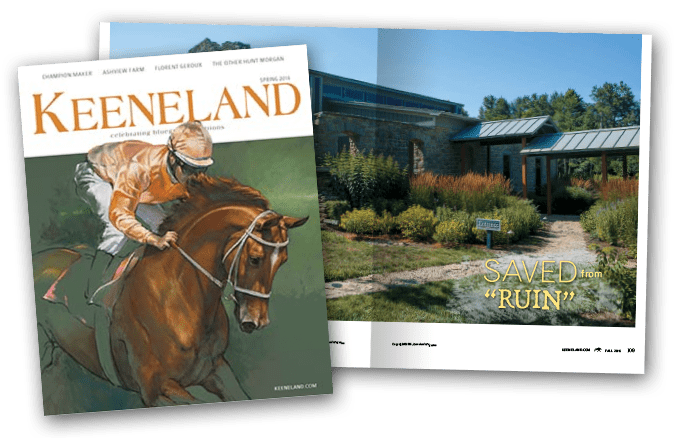 Imagine a place where Kentucky’s love of horses and bourbon come together in one idyllic spot, tucked away just around the bend of a classic country road in the heart of the Bluegrass. It might seem odd, that a place made of grace and beauty, surrounded by grand stone walls and nestled among a scenic backdrop should be called The Ruin. But the name of this special place speaks only to its past—and that which gives this old Kentucky home its storied history.